AccuShred has worked hard to become your trusted partner in the important task of secure information destruction and environmentally-responsible electronic waste disposal. We provide our clients with peace of mind by managing an unbroken chain of custody for your sensitive materials. From the moment your employees place materials into one of our secure containers until the shreds are commingled and baled for recycling, your materials are under our professional care and supervision. We continually keep up to date on data security issues, so we can identify emerging risks, then develop new services to ensure our customers maintain the lowest possible risk profile. 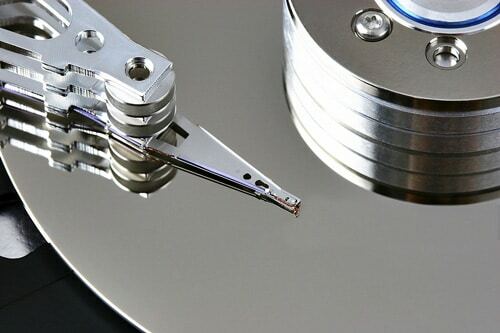 It has become evident, for example, that hard drives and other digital storage media may never be completely secure, no matter how they are erased or re-formatted. So we created a service that physically destroys (shreds) hard drives and similar data storage devices. We also keep you up to date on the latest legislation, regulations, and technology in the rapidly changing field of secure information destruction and identity theft prevention. AccuShred puts out the Data Destruction News, our periodic newsletter, which provides our clients with the most current information about pending legislation, HIPAA, HITECH and FACTA updates, E-waste regulations, ways to prevent becoming a victim of identity theft, and other relevant, interesting industry news. AccuShred is proud and honored to have been selected to receive a 2018 Better Business Bureau Torch Award for Ethics. This award brings attention to the practices that local organizations employ to generate a high level of trust among its employees, customers and community. This award embodies the Better Business Bureau’s mission of advancing marketplace ethics. Local, regional and national companies, as well as many governmental agencies, trust AccuShred to securely destroy their most sensitive information. Why not you…?